By Barry Hartness, Public Affairs Officer at the National Housing Federation. Last Tuesday saw MPs from across the political spectrum attend a Westminster Hall debate tabled by Peter Aldous MP on the future funding of supported housing. It’s very rare in Parliament to hear MPs from different parties cheering each other on in a chamber but that’s exactly what happened on Tuesday. 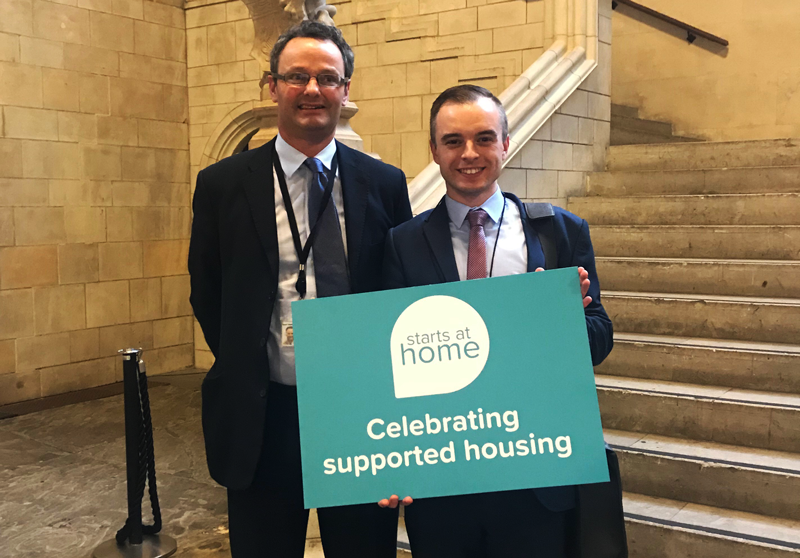 MPs were united with the sector, having been mobilised by campaign supporters, to attend this debate and celebrate the important role supported housing plays for those who rely so heavily on it. On the day of the debate alone, there were almost 400 tweets sent by 180 contributors. In his speech, Peter Aldous MP outlined the ongoing concerns of the sector surrounding the current funding model proposed by the Government for supported housing. He urged Ministers present from the Departments for Communities and Local Government (DCLG) and Work and Pensions (DWP) to adopt the recommendations put forward by the joint inquiry into the future funding of supported housing which reported before the General Election last June. The Government has made clear that they plan to bring forward the next steps for the funding mechanism this Autumn and therefore housing associations across the country must continue to engage with local politicians. The debate last week showed that our sector is ready and able to tell its positive story and this is what we must continue to do. You can continue to make sure this important issue remains at the forefront of the minds of decision-makers by inviting MPs to visit your local supported housing schemes and asking them to write to Government ministers and table oral and written questions. Each and every housing association can be proud of the role which they have played to help tell the positive story of supported housing. As the Government’s decision draws closer, we must continue to tell that story as effectively and powerfully as we can.